Explore Remembrance Day and history alongside your students with Canada Remembers. A powerful and reflective educational experience in the form of a 5-part documentary series (created by Thomega Entertainment), supported with an Education Guide, including hands-on activities, background reference material, blackline masters of worksheets, a unit project, answer keys and marking rubrics (created by Ahimsa Media). The Canada Remembers documentary series is a dynamic and engaging teaching tool to assist your students in learning about Canada’s war history through the eyes of young people and our Veterans. This timely and powerful series is now available on DVD with an accompanying Education Guide to purchase for the Classroom. It was a very emotional experience … I don’t think I’ll take things for granted now. It made me think of the soldiers currently fighting, because one day, they’ll also be Veterans. 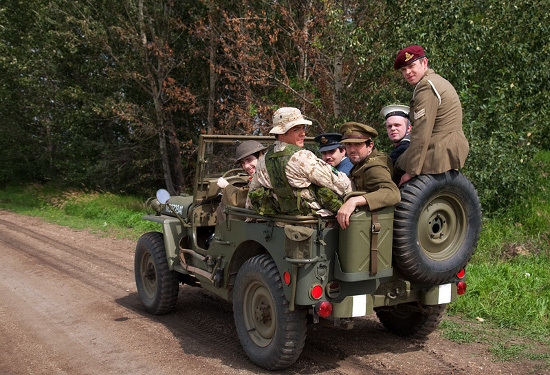 These DVDs provide a compelling look at war as experienced by Canadian Veterans. Through the dispassionate description of their role, the laughter of their friendships and good times, and the re-experience of the horror of death and destruction, their message is clear: war is senseless. These videos are excellent both in conception and realization. Option 1 (If your school has not purchased Shows 1 – 4): Canada Remembers Shows 1 – 4 (47-minutes each in length), Education Guide (for Canada Remembers Shows 1 – 4), and Canada Remembers: Women In War (Show 5). $269.95 plus applicable taxes and shipping (please add $10.00 shipping). Orders of two or more $259.95 each plus shipping and handling (please add $10.00 shipping). $139.95 plus applicable tax and shipping (please add $10.00 shipping). Orders of two or more $129.95 each plus shipping and handling (please add $10.00 shipping). Option 3: Educational Guide only, (for Canada Remembers Shows 1 – 4). $99.95 each, plus applicable taxes and shipping (please add $10.00 for shipping costs). Orders of two or more $79.95 each, plus applicable taxes and shipping (please add $10.00 for shipping costs).